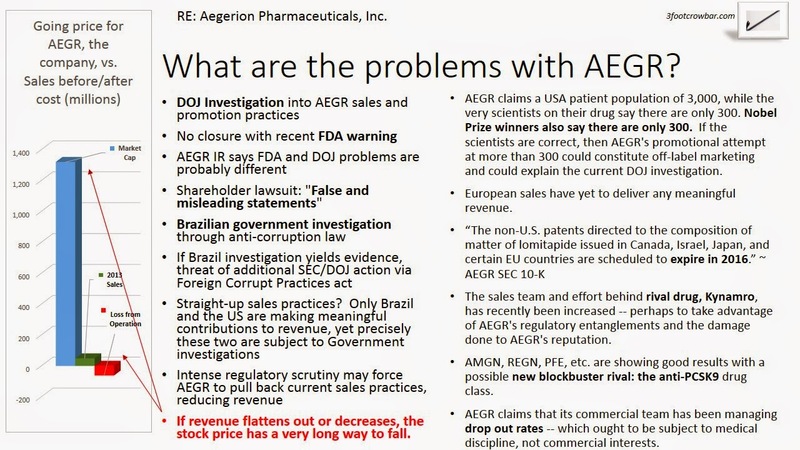 Disclosure: After investigation, I believe that AEGR is grossly overvalued, that its addressable market has been exaggerated by 1,000%, and that its regulatory investigations are not yet reflected in the stock price. Consequently, I am short AEGR. I am not infallible. All claims and references herein should be verified by the reader. All investors must do their own due diligence. This report is not a recommendation. If blockbuster rivals – the anti-PCSK9 drugs – arrive at end of 2015, how can AEGR possibly close this gap? Europe is making no significant contributions to revenue, and is not expected to make an impact in the near future. Japan has required additional study. The sales force behind rival drug, Kynamro, has been increased by Genzyme and will directly compete with Aegerion’s Juxtapid … at a much cheaper price. Management’s version of the addressable market is at odds with the very scientists working on its drug by 1,000%. 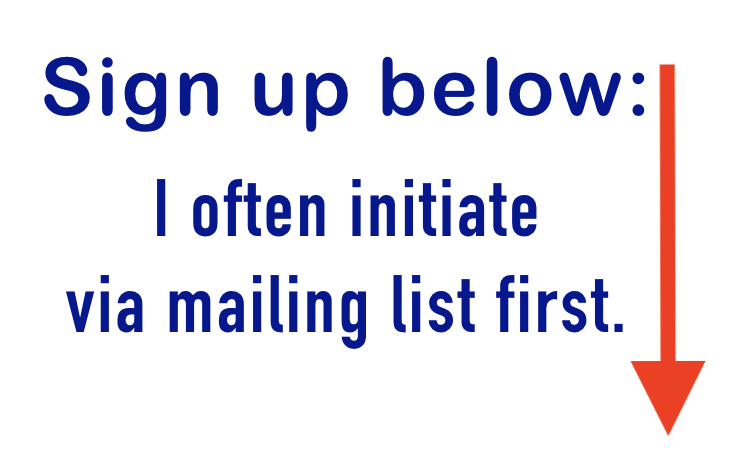 Risk of off-label promotion. The scientists on AEGR’s drug claim that there are approx. 300 US HoFH patients in the USA; commercial management claims there can be 3,000. Even Nobel Prize winners use the number 300 when speaking of USA HoFH sufferers. If the scientists are correct, and management incorrect, then AEGR’s proactive reach for more than 300 presents a serious risk of off-label marketing. In fact, the Department of Justice is currently investigating Aegerion for its marketing and sales practices. If sales depended on off-label promotion, then present scrutiny and a return to compliance could seriously reduce sales. There has been no investor closure with the FDA Warning. If scrutiny is ongoing, sales efforts may be curtailed to insure compliance.